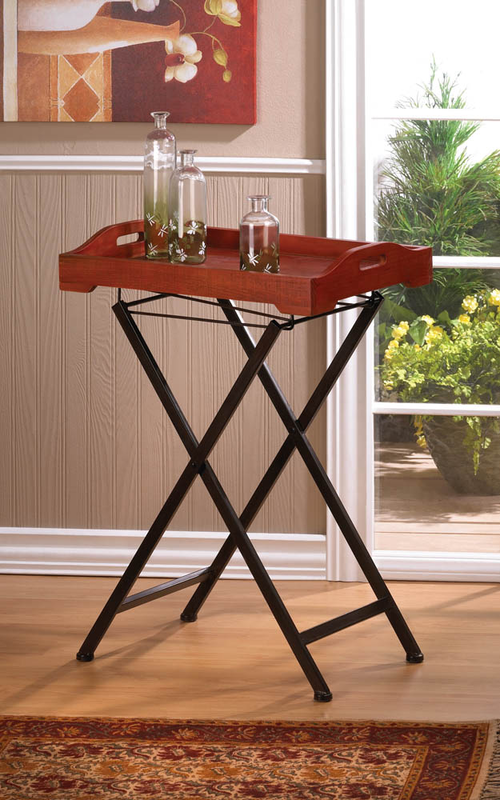 The grace of bygone days and timeless style can warm your home to both you and your guests. 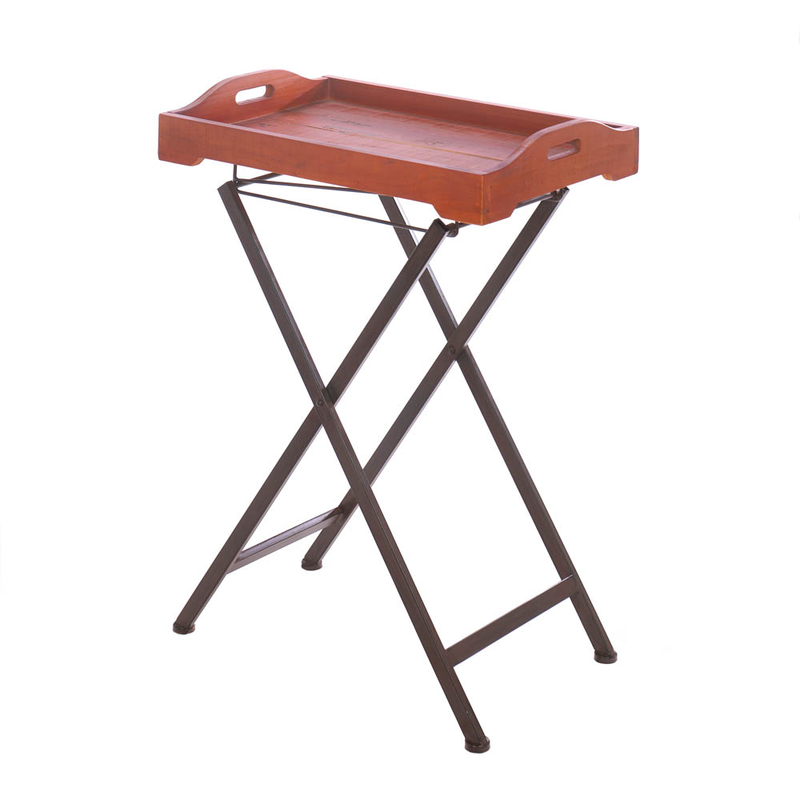 This welcoming tray table features a pine wood tray that has a handcrafted charm about it, and the folding metal stand makes it easy to tuck away when not in use. Item weight: 12 lbs. 22" x 14¾" x 30½" high. Pine wood, metal and tube. UPC: 849179019716.